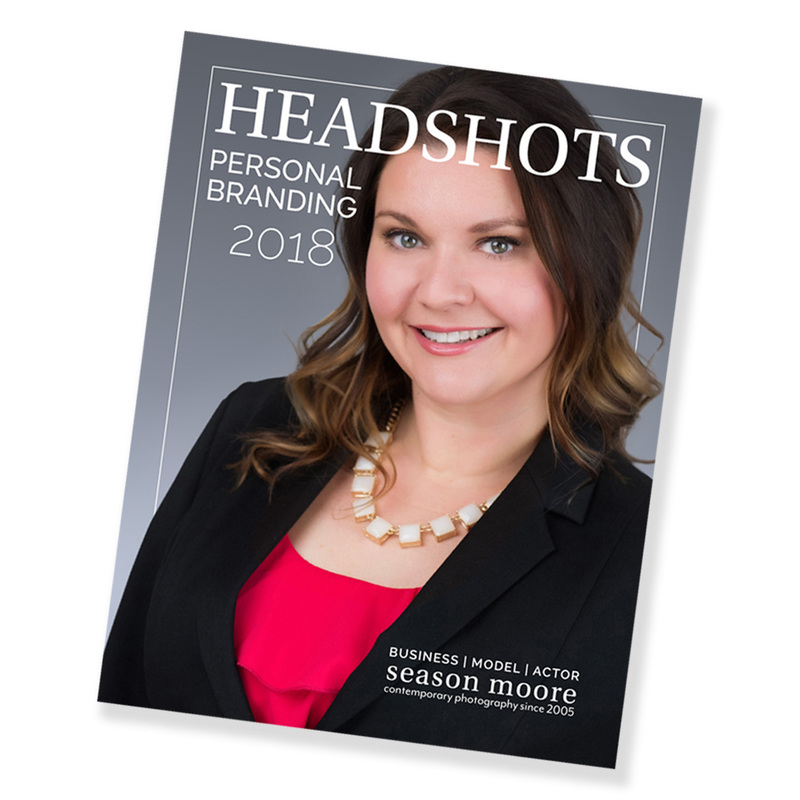 My headshot magazine has been updated for the new year, chock full of information to help you best prepare for your personal branding photo session. If you planning for your upcoming photoshoot or just considering it take the time to read through this booklet. I have covered everything from what a session entails, what to wear and how to prepare in the days leading up to your appointment time. Sample images can help you decide how you would like your professional image to be seen; smiling and outgoing? Serious and business minded? Indoors or outdoors? We will guide you through every step of the portrait process and new for 2018 – an in studio hair and make up option. All you need to do is show up and let us handle the rest! Beyond traditional marketing avenues, you have the opportunity to make an impression by creating a Social Media presence. This branding is perfect for Doctors, Lawyers, Real Estate Agents, Business Executives, Creatives, Authors, Bloggers, Artists, Designers, and Musicians and more. You can create a powerful and memorable personal brand in just one afternoon. You industry and personal style will guide the look of your photos. No two sessions are ever the same. 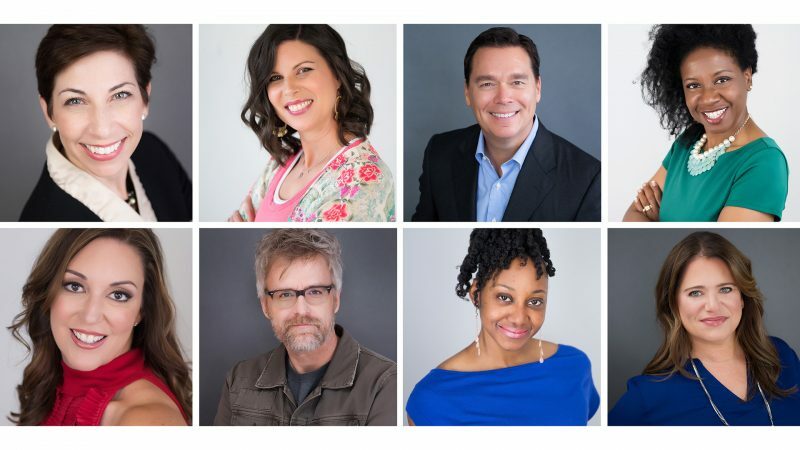 Making the time to have professional headshots made is an easy investment in your future and I promise, you will love the final product (and have fun doing it!)! 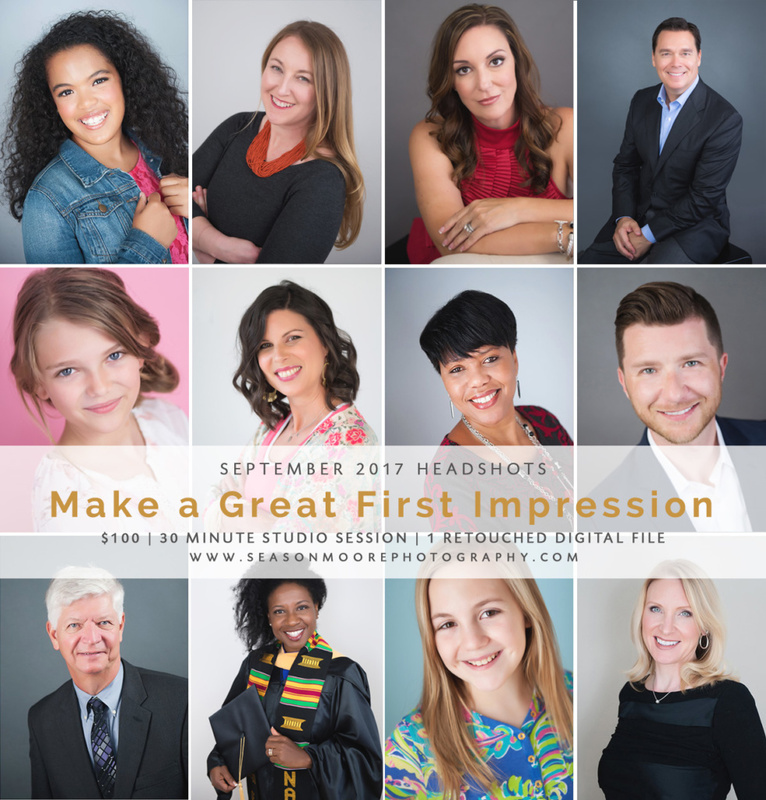 Welcome September, welcome headshot promotion! This time of year always comes with mixed emotions for me. I love summer and hate to see it go (not to mention I always manage to get a year older in September…) but it’s time to buckle down and prepare for the craziness that is the holiday season. The fall season season brings with it crisp air, fresh starts and a whole new wardrobe so the time is now we are kicking things off with a studio headshot special! In studio headshot sessions are a quick, easy (painless!) way to update your professional appearance for social media, business cards, email signatures and more. Represent your brand with a photo that captures your best self in a relaxed, laid back environment. 30 minute sessions at our Raleigh studio yield 20-25 proofs for you to choose from and include one retouched high resolution digital file. It’s time to make a great first impression – ditch the selfie! (Availability for this promotional rate is limited so please be in touch asap). These discounted sessions will take place Monday – Friday, from 11-3pm at our studio located on Creedmoor Rd. See available session times on the calendar or be in touch to check our schedule. Browse our online magazine for even more details and what to expect. Group discounts are available for staff photos, let us know what you have in mind and we can make it happen for you! Don’t put it off any longer, invest in yourself and your brand the easiest way possible. I promise you will love the results, and you might just have a little fun in the process! It’s the most wonderful time of the year! 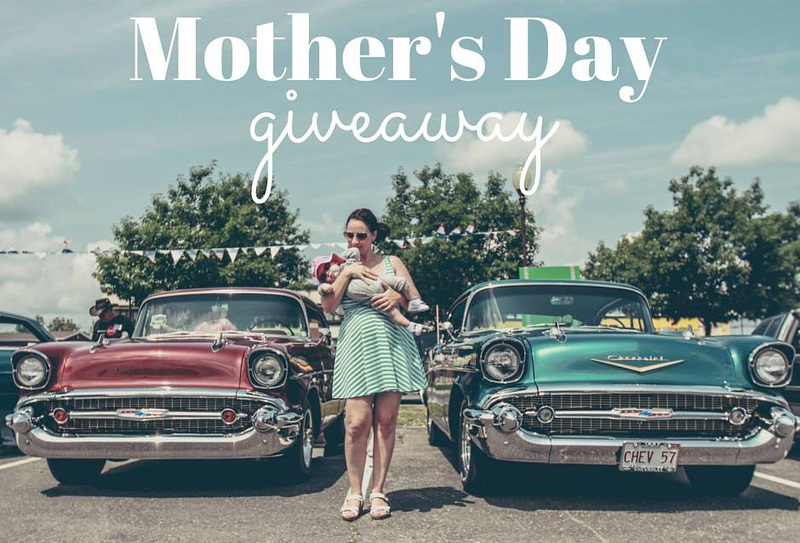 Birds are chirping, flowers are blooming and the 2nd annual Mother’s Day Giveaway has begun! This year’s prize package is even better than before. These locally Mom owned, Raleigh small businesses have come together to give you the best Mother’s Day ever! There are several ways to enter and yes, you can enter more than once! More chances to win on this page! We have done it, The Mother Giveaway! 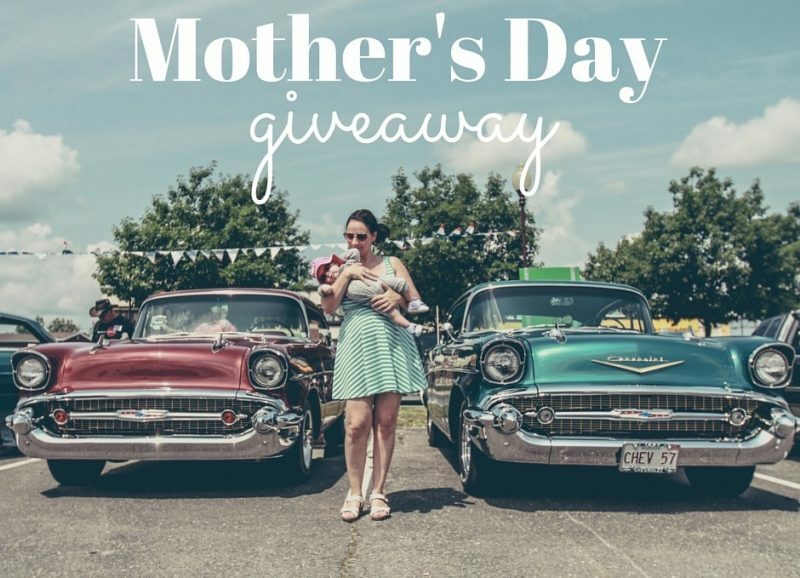 Cross your fingers and toes and watch for your name to be drawn on Mother’s Day! 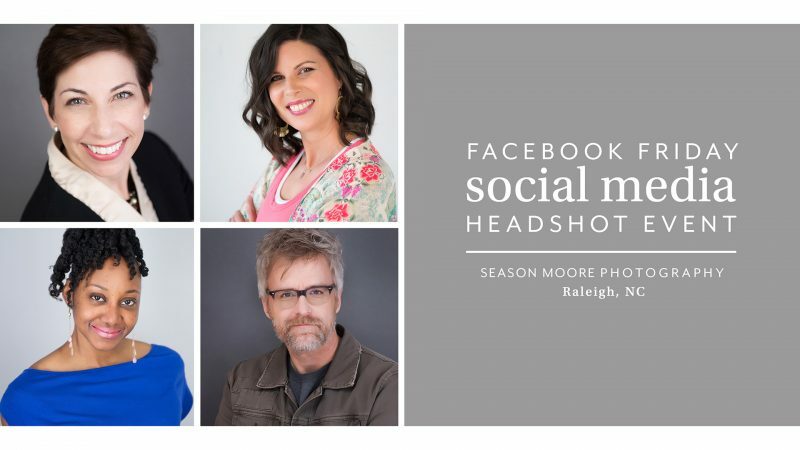 Award winning photographer Season Moore provides modern headshots and portraits for actors, models, and professionals in the Raleigh - Durham, NC area.